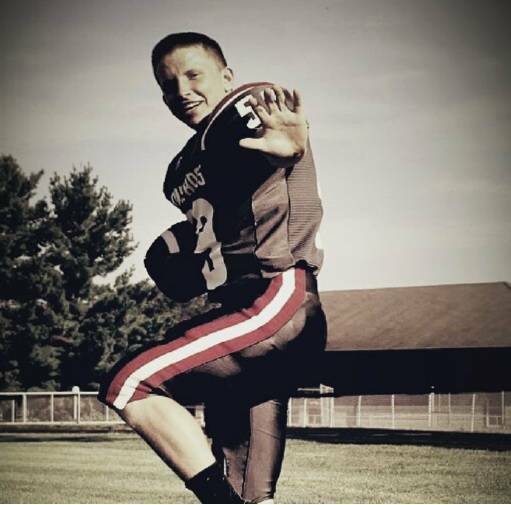 A scholarship in Justin Butcher’s honor will help students of the Westfall High School he loved so much. On Saturday, June 23, there will be a poker run to raise funds for a scholarship in memory of Justin Butcher. Butcher was killed in a car accident on April 22. He was a graduate of Westfall High School in Williamsport, Ohio. The scholarship will be awarded to members of the Westfall wrestling team, of which Butcher was a member. Butcher’s high school friend, Lauren Adams, organized the poker run. Signup will begin at 11 a.m. at Dawg Ugly in Williamsport at 121 Water Street South and the run will begin at noon. Participants are not required to ride motorcycles, according to Adams, who said “all wheels are welcome.” There will be a $10 fee per person. Adams explained that “the way a poker run works is at every bar you get a card… and at the end of the poker run whoever has the best poker hand wins.” The prize will be half of the money raised by the $10 fee charged to participate in the run. After leaving Dawg Ugly, the group will ride to Smitty’s Tavern in New Holland, then Station House 81 in Commercial Point, then Pour House in Circleville, then Mainstreet Pub in Circleville, and, finally, back to Dawg Ugly in Williamsport. Upon returning to Dawg Ugly, food will be sold for $5 a plate and there will be a 50/50 raffle and Chinese auction. Adams said the community has come together to make this event possible. https://www.recordherald.com/wp-content/uploads/sites/27/2018/06/web1_justin-butcher-pic.jpgA scholarship in Justin Butcher’s honor will help students of the Westfall High School he loved so much.